Please email, text or call to request an appointment or to schedule a free telephone consult to learn more about Dr. Accortt's services. Like us on Facebook and follow on Instagram to keep up with Dr. Accortt's maternal mental health posts and new workshops and groups! 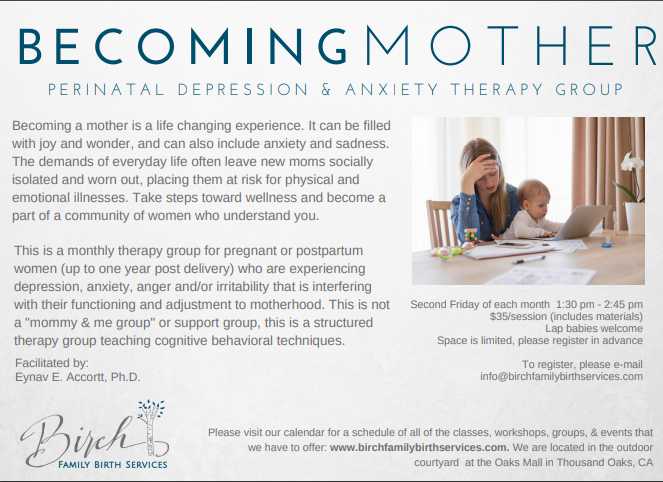 The Birch Family Birth Services Becoming Mother Therapy Group meets the 2nd Friday of each month from 1:30-2:45 pm. Please find registration information for the monthly Friday therapy group HERE. 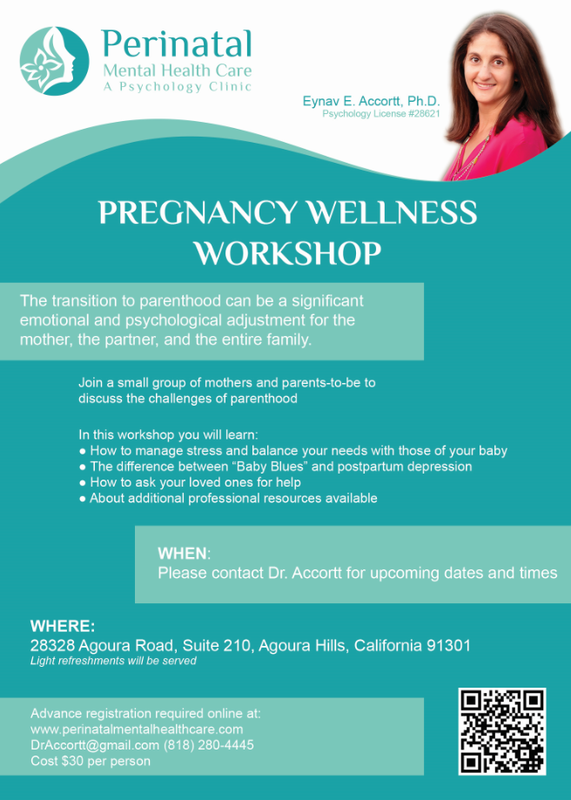 If you would like information for the Red Tent Therapy Group or the ﻿Pregnancy Wellness Workshop﻿, please email Dr. Accortt for the next dates. Include your full name, phone number and email address and she will send you information and a link for online registration. It is important to be aware that e-mail communication can be relatively easily accessed by unauthorized people which can compromise your privacy and confidentiality. E-mails are vulnerable to unauthorized access because servers have unlimited and direct access to all e-mails that go through them. Please notify Dr. Accortt if you decide to avoid or limit the use of e-mail. Unless she hears from you otherwise, she will communicate with you via e-mail when necessary or appropriate. Please do not use e-mail for emergencies. We will respond to texts, calls and emails within 2-3 business days. In case of an emergency please call 911 or your general heath care provider.